Clays – A challenging shooting experience for all levels of shot gunners!! All scheduled Clays events are open to the public and posted on the Club calendar. Shooters of any skill level and age are welcome and encouraged to join! In addition there are Practice Traps available to certified club members and their guest(s). 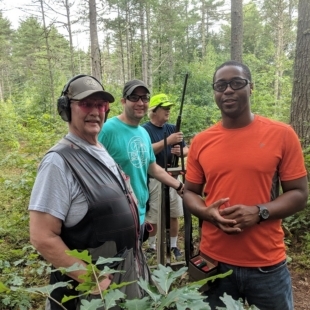 Our clay shooters are a friendly bunch, and there are no gun snobs here. Don’t hesitate to bring your old pump shotgun. You will have a blast, and become a better shotgunner in the process. 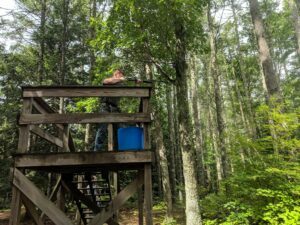 The sporting clays course is located in the woods on the hill behind the main club ranges. We utilize automatic traps that are activated with handheld controllers. We encourage shooters to show up a half hour early to help load traps, set up stations, and assigned squads. The start is staggered so each squad begins at the same time on different stations. The course consists of nine stations utilizing a variety of different clay presentations. It makes use of rabbits, battues, midis, and standard clays to challenge all levels of shooters. At each station, three pairs are attempted, which can be taken simultaneously or on report. Once the squad is finished shooting the hole, they progress to the next until all nine stations have been shot. Bring a friend and compete for bragging rights. 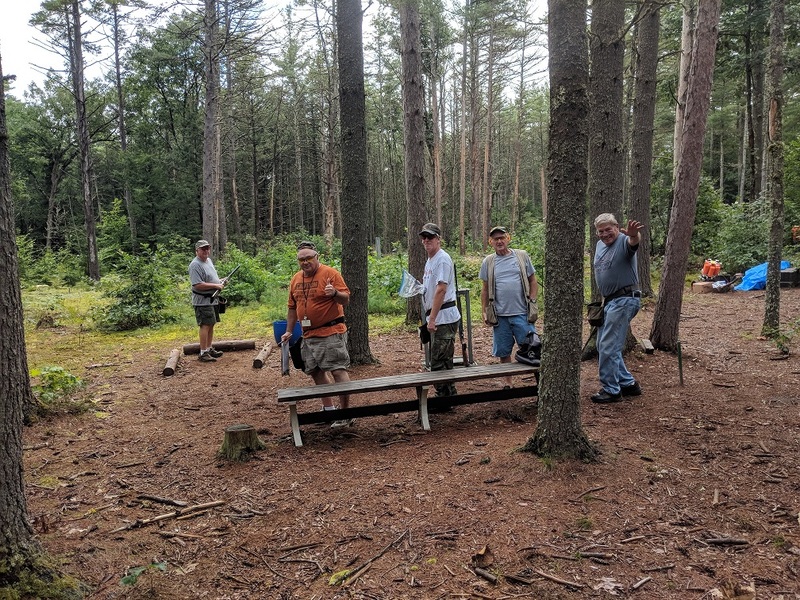 Friendly competition and spending a morning shooting in the woods is a great way to start your weekend! 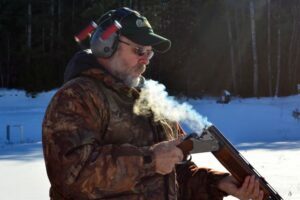 During the winter the Clays program holds Five-Stand shoots, open to the public, every Saturday morning from 10:00 am – 1:00 pm. Five Stand is very similar to Sporting Clays. A wide variety of targets are presented, shot from five different stations where each person shoots five various target presentations. A full round consists of 25 targets per shooter. There are 8 to 10 traps involved in our five-stand operation. Each trap has a unique presentation such as running rabbits, incoming, outgoing or quartering birds. 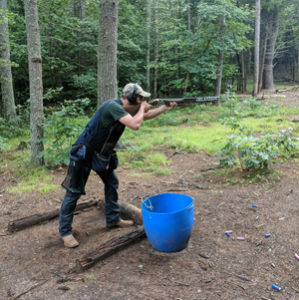 Please consider subscribing to our Clays Shooting mailing list. We will use this this to communicate upcoming Clays activities. Members and non-members may subscribe. 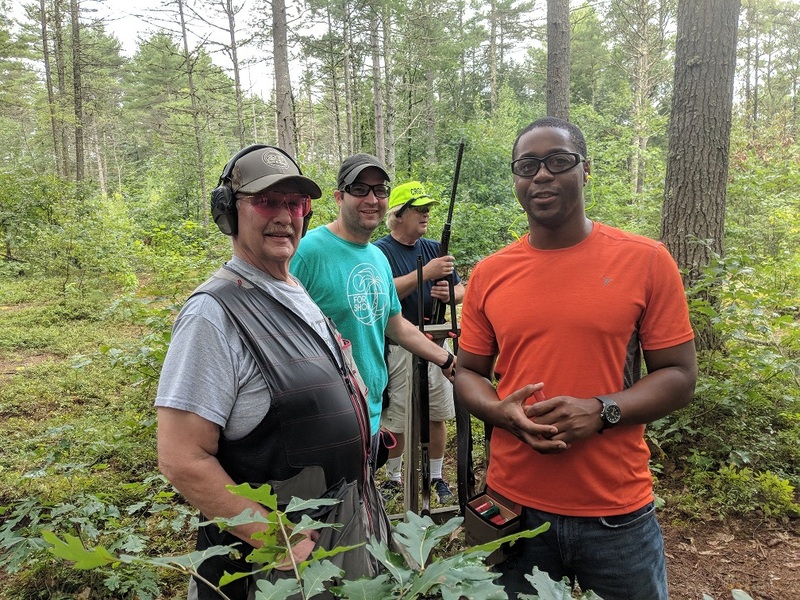 For a safe shoot, appropriate eye and hearing protection is required for shooters and spectators. Fees for all CRGC shooting activities can be found clicking here. 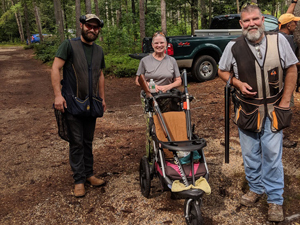 Join us every Saturday morning, weather permitting, for a fun and challenging 50 or 100 bird shoot in the woods behing the CRGC 5-Stand range. Fees for 50 birds are $10 for members and $15 for non-members.